Electronic Arts (EA) is known for getting behind massive franchises. Madden, FIFA, NBA Live, Battlefield, Star Wars…The list of huge games goes on for a while when you’re talking about EA. Yet as we’ve seen in the past few years, EA does appreciate the indie scene. Games like Unravel charmed audiences around the world, and the publisher now has a program called EA Originals to help foster some more growth in the indie space. 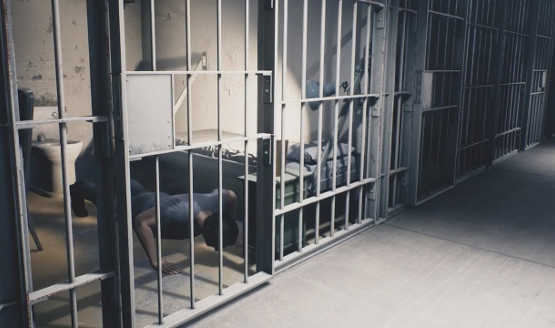 The newly-revealed game A Way Out was shown at this year’s EA PLAY, and we were able to take a sneak peek once we were away from all the hype of the event. As we sat in a temporary office in the back of EA’s PLAY event with Director Josef Fares, it was funny taking in fellow journalists’ reactions to A Way Out. Josef spoke with confidence about his new game, bolstered perhaps by the reaction he had already received at EA’s press conference a few days ago, and the success of his previous game, Brothers: A Tale of Two Sons. Or maybe it was the $3.7 million EA handed over to him and his team at Hazelight Studios while still retaining complete creative control over the game. As Josef had to repeat over and over and over again, the game cannot be played in single player. In fact, he didn’t even like that they had enabled the game to be played over the internet; ideally, you will play with the other player in-person, since that is the way the game has been designed from the beginning. What we got from our session is simple: Josef’s vision is clear. This is going to be a game about two convicted prisoners who both have their reasons for wanting to escape and to go after a specific person. It’s also not a single-player game, at all. You must play it with another person, at all times. The game is presented in split screen for the vast majority of the time you will spend with it; we were shown a few instances where the game does cut to a fullscreen cutscene, however these are short-lived and at least one player remains in control of a character the entire time. It appears the game’s title, A Way Out, will take on different meanings as the game progresses. At the start of the game, the obvious meaning is finding a way out of prison. However, we were shown a point in the game approximately 3 – 5 hours in, and the two main characters Leo and Vincent had already busted out of prison (fun fact: Josef’s brother, a fellow actor by the name of Fares Fares, provided motion capture for, and voices, Leo). Between one man’s broken family and another’s tendency towards violence, A Way Out may also refer to finding a way out of the dead-end lives the two of them are living. 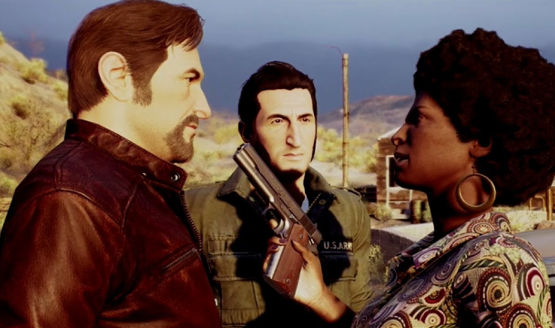 A Way Out controls like an adventure game in the vein of Life Is Strange or The Walking Dead, where you walk up to objects and people in the environment and interact with them. Where things diverge is that when the time comes to make a decision, both players have a say in what to do. You both have a cursor, and move it towards the decision you want to make; Josef indicated that he wants the two of you (or however many people are playing/watching the game) to talk to each other in real life and figure out what you want to do. So it’ll be interesting to see what the game does if you cannot decide, or take too long to make a choice. Regardless, while your decisions will affect the way in which individual scenes play out in A Way Out, they will not affect the overall storyline very much. This is not a choose-your-own-adventure kind of game; the story is generally going to go in one direction, and you are merely along for the ride. Hazelight Studios is not the size of, say, Quantic Dream, and so they don’t have the kind of resources to handle multiple endings. Besides that, it’s also not the kind of game they have a desire to make, and that is completely fine. A Way Out felt like a breath of fresh air, not only in EA’s sequel-heavy event, but also for the gaming industry at large. Co-op games are rare these days. Co-op games designed for couch co-op are even rarer. Co-op games that tackle more mature subject matter, and that force you to decide as a team? I’m thinking this might be a new sub-category. The small snippet of the game that we saw was impressive, and hopefully we will be back to report that the game fulfills its vision in our review when the game launches in early 2018.